exceptional service. Ethical, honest. They go over and above to help both the buyer and seller. I plan to use House-Moves for any other move I might make in the future. They are what agents should be. I have just sold my flat through House-Moves and it was all very seamless. They are a lovely helpful and friendly team and it was nice to work with a small family-run business rather than a larger corporation. I would highly recommend them. Purchased our flat through house moves back in 2015 and being new to it all the team were a godsend. We knew that when the time came to sell we would be using these agents. So here we are just sold our flat within a week of being on the market with house moves. Christine, Michelle, Joanna and Pete are all so friendly and helpful. Myself and my partner didn’t know where to turn sometimes and Michelle would always listen when I didn’t have a clue what I was doing. A lovely bunch of people who are very friendly and professional couldn’t recommend them enough. Will definatley use them for any further sales in the future. Thank you so much all of you. Just purchased my first home with House-Moves, and from the first viewing I knew they were going to be brilliant to work with. Everyone was very friendly, helpful, and real – I did not feel pushed into anything, or as if they were using cheesy sales lines. They supported me to negotiate a sensible price too. I can’t thank them enough, and I thoroughly recommend them! We recently sold our house through House-Moves. Ladies always giving their best to help to sell the house. We didn’t really wanted to go through High Street agents as most of them don’t know what they are selling and coming to meet at the property to just open the door for you. With House-Moves we had completely different experience since first meeting. Christine asked all relevant questions about the house, boiler,meters etc and we new that she really want to know the house first before showing it to anyone. I would highly recommend Hose-Moves to anyone who is planning to sell the house. You will receive personal touch service and you would not be disappointed. I have finished buying our first house via House-Moves and they made the whole process seem easy. They were always there to guide us through the process or just chat. Thank you everyone at House-Moves! We’ve just bought our first house and Michelle and Christine were a huge help in keeping the process moving, and helping us out in any way they could. If we ever choose to sell, I’d have no hesitation in listing our house with House Moves. Judy Parkes Cheltenham we sold our house through House-Moves and have only good things to say. All the team were very helpful and kept us informed at every stage. It was so good to work with people who knew us and had our best interest at heart. Cannot recommend them highly enough and look forward to using again for our next sale. Thank you Christine and the team! they always answered the phone and returned messages, a rarity these days. A pleasure to deal with. Ross Hutchinson absolutely fantastic service from start to finish. I got over seven thousand pounds more than the highest estimate from 5 other estate agents. Cannot speak highly enough of the team an absolute pleasure to do business with. I found house moves very helpful with me selling my house every time i did not understand questions from the solicitor house moves always told me what the questions meant and then helped me with answering the questions so without house moves i would not have known what to say and this might have stopped me from being able to sell in case i said the wrong thing. so i was very happy for the help they gave me. A very professional, excellent service! Michelle, Chris and the rest of the team have made the sale of my house a very smooth process…my house was advertised, sold and completed in 8 weeks!!! Living away from my property, they have kept constant contact with me and checked my property regularly. I would highly recommend House-moves…a very happy customer!! Couldn’t rate house moves any higher! They were fantastic help with the selling of our flat and also helped us along with buying our house! We had many problems along the way and couldn’t have achieved what we have without them! Thank you so much!! As a buyer I have found Michelle and the rest of The Team not just very helpful but also extremely friendly. The office might be somewhat tucked away from the centre of town where all the other agencies are but I would not hesitate to put my property up for sell with House-Moves Limited. Don’t change Ladies and Gent. Well Done. Brilliant service, very helpful and very personable. Always willing to explain and always quick to respond. Also very knowledgeable of the market and did a great job. Can’t thank them enough. Used house moves to buy our next family home in August, Michelle was so helpful, friendly and always available to help no matter what time I would contact her! 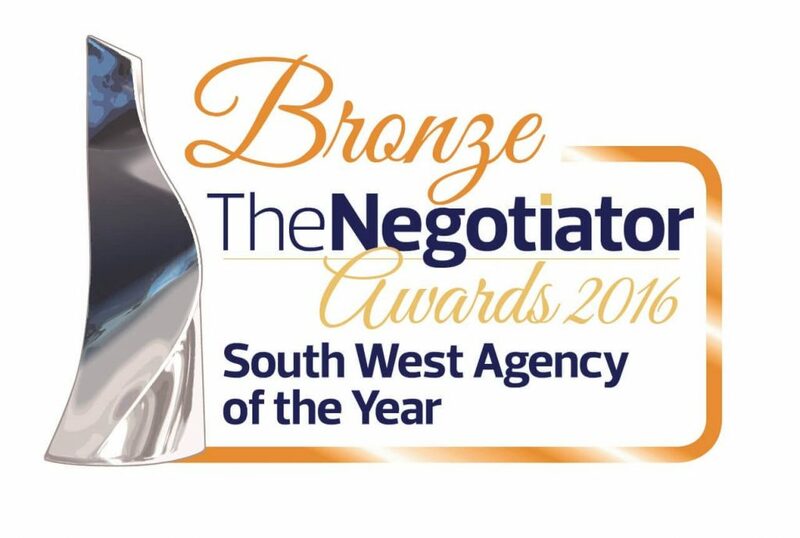 Chris was also very helpful and polite, we were always kept in the know where needed, I would defiantly recommend this agent!! We are really happy!!! Michelle and rest of the team are absolutely great! We would highly recommend their services! Sean Bourk Cheltenham an highly reccomend Housemoves as excellent, professional and friendly Estate agency, when your looking to sell your Home. A local small family buisness who deliver excellent service. Robb Day couldn’t have asked for a better team to deal with buying my first house. The communication was excellent throughout, and I felt like they couldn’t do enough for us. I highly recommend House Moves to anyone looking for a team with the personal touch! Jonathan Hawkins great service throughout, very helpful and friendly. Ended up doing a lot of extra work for me to get my sale completed and was helpful and communicative throughout. Highly recommended. House Moves supported by elderly mother through a long protracted move; their support for her was faultless, more than happy to go the extra mile. I know throughout that my mother felt she had House Moves friendly team on her side as they proactively chased agents and solicitors and that meant a great deal to her. No hesitation in recommending. 5 Stars. Great service al attention to detail. I tried an on line agency to try and save money and it was so stressful. Glad I met Michelle at a networking breakfast and used your services. Looking forward to you finding us our next house. Chloe Elliott can honestly say the staff at Housemoves are just the best! Views at short notice were never a problem, quick communication between them and the vendor and nothing was too much trouble. I can highly recommend buying and selling through them as the service was second to none! A huge thank you to the team !! Right from our first meeting with House-Moves we knew they were the agent for us. We had an offer above asking price the day after the house went on the market! Joanna, Chris and Michelle looked after our sale. We were kept informed of progress on a regular basis. I can genuinely say that we couldn’t be happier with the service we received. We have now completed and enjoying our new home. Thank you. Tracey Morris ur house was only on the market for just over a week and after 14 viewings we received 5 offers! Thank you Chris, Michelle and team for a professional service and great communication throughout! Highly recommend House-Moves Ltd! Christine, Joanna, Michelle & Pete welcome you to house-moves! Do you have a property to sell or interested in knowing how much your property is worth? This delightful red brick period property comes to the market with No Onward Chain.